So this is a shameless beg for votes. 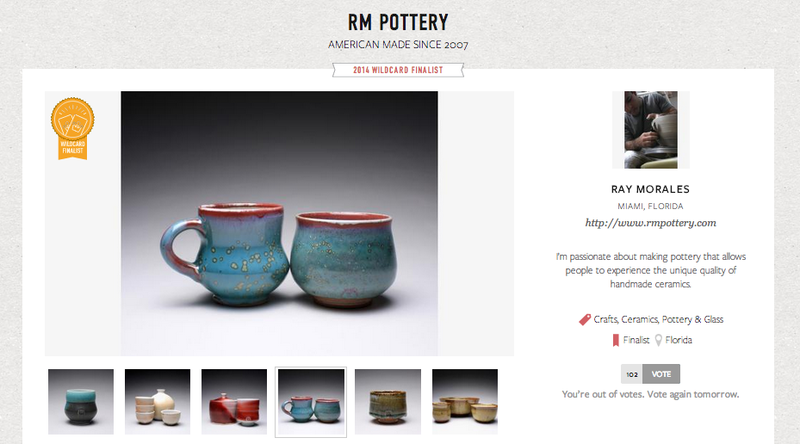 My amazing husband, Ray of RM Pottery, is finalist in the Martha Stewart American Made Awards. 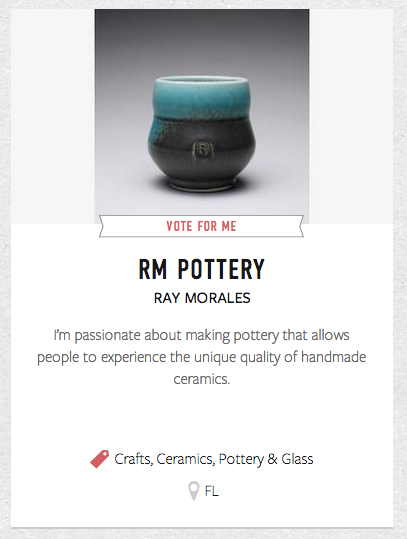 He has an actual shot at winning in his category, which would give us a lot of publicity for his ceramics business. Can I beg you all to vote for him whenever you remember? 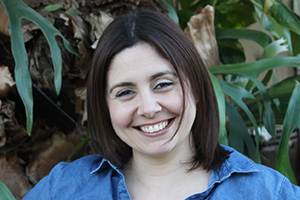 You can vote up to 6 times a day until October 13th. Now here is the catch. 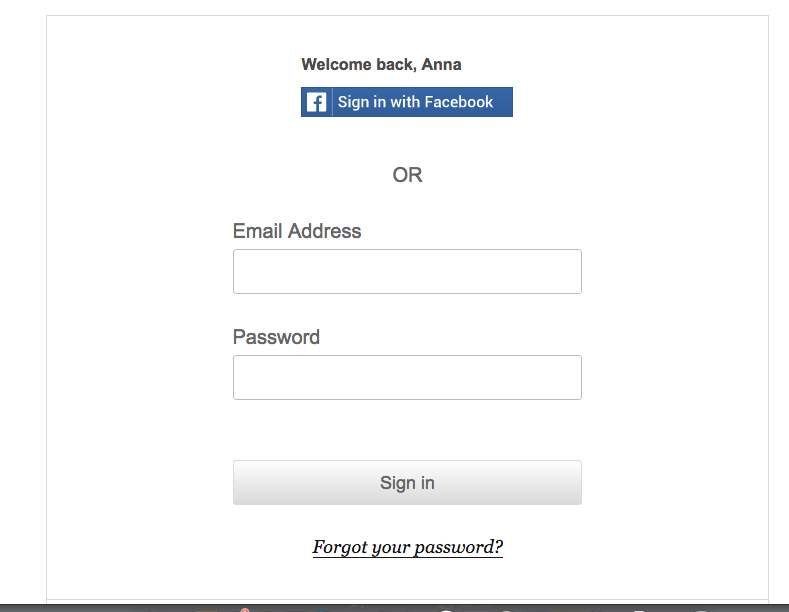 Even though the site says you can register via Facebook and sign in that way, it doesn’t seem to be registering the votes that way. If you see the screen below when you hit Vote, it is not actually registering your vote. Insert sad face. I think a lot people tried voting this way and it didn’t work. I’ve already emailed the website to let them know of this glitch. In the meantime, you must register via email to get your votes to count. You’ll know you properly registered and are voting when a little red notification appears below and tells you many more votes you have. You can use all 6 for RM Pottery or spread the love to other finalists. Voted! Congrats and good luck! Heading over now. So cool and congrats to your hubby! I some how didn’t have you in my reader. Totally just voted!